Happy Birthday to Henri Dunant! Today marks what would have been the 184th birthday of the founder of the International Red Cross and Red Crescent Movement, the man who conceived of what would become the Geneva Conventions, and the recipient of the first Nobel Peace Prize. The American Red Cross, along with other national societies, continues to spread the same humanitarian ideals touted by Dunant over 150 years ago, in part through dissemination of international humanitarian law (IHL). I have been proud to be an IHL instructor for the American Red Cross for more than 4 years now, and now Chair the International Services Committee at my local Southeast Louisiana Chapter in New Orleans. In addition, the ICRC Regional Delegation for the US and Canada reminds us that this month’s operational focus is on violence and displacement of civilians in Colombia, which not only continues but grew in volume in 2011. I have studied the problem of IDPs in Colombia as a result of the continuing violence, which has lasted 50+ years – the “desterrados” are the forgotten displaced, an IDP crisis happening in the Americas. When people think of displacement, they think of IDPs and refugees fleeing from conflict across Africa, but Colombia is often forgotten. Take a look at the ongoing efforts of ICRC and this violence than has been raging for more than half a century, right here in our own hemisphere. The Red Cross is an organization that has always been close to my heart – I’ve been a Red Crosser for 11+ years, and continue to work hard to support the organization and live up to it’s reputation. My involvement with the American Red Cross has spanned 3 chapters and include a laundry list of functions, including: youth manager, disaster instructor trainer, shelter manager, CPR/First Aid instructor, IHL instructor, DAT member, logistics officer, babysitting instructor, grant writer, fundraiser, event planner, leadership development center director, IS committee chair, caseworker, and many more! I’m proud to share my birthday with World Red Cross Red Crescent Day and with Henri Dunant – I take it as evidence that I belong with the organization and will continue to call it my home. We distributed eyeglasses to nearly 1,100 people and completed 40-something surgeries in Chinandega, last week, as part of this year’s New Orleans Medical Mission Services trip to Nicaragua. The week before, another NOMMS team in Matagalpa saw over 1,450 patients in the eye clinic and 43 surgeries. Overall, a successul time in Nicaragua this year. For me, the trip was particularly fulfilling, as I had the opportunity to serve as director of the eye clinic in Chinandega. This being only my 2nd mission with NOMMS, I was a bit nervous, especially since my Spanish is pretty rusty – I can’t conjugate worth a damn, so everything is happening right now, nothing has ever happened or will ever happen when I’m speaking Spanish! But my team in the eye clinic was great, including the fabulous Dr. Frank Romano, who really brought an extra dimension to the clinic with his insights into reading the prescription slips (papelitas) and identifying solutions to help people see better that weren’t easy to discern from the auto-refractor readings alone. Our operation was one of quality over quantity, seeing fewer patients than other trips, but I feel really confident and pleased with the work we did in spending more time with each patient to make sure we were getting the right fit for each of them. That’s what’s important, and combined with the fact that we didn’t turn anyone away – all the demand was met, everyone who came to the clinic got in and was seen – leaves me more than satisfied with the week’s efforts. Of course, as a student of development, I continue to think about the sustainability factor – NOMMS is really doing good work and I believe in the organization, but I will be promoting activities with them more focused on capacity-building in the countries we’re visiting and based more in education for the local doctors and nurses we’re working with. As with any humanitarian effort, we should be trying to work ourselves out of a job. Modifying the focus of the missions to include a larger component of training and capacity building, in my opinion, should be the future focus of the organization so I will bring these ideas to the board and see what we can do to make that a priority. In the meantime, our partners in Nicaragua are fantastic. Hospital España and Hospital Mauricio Abdala were gracious and helpful hosts, and the Coen Foundation took great care of us, helping to get all of the arrangements settled in advance and providing us with a lovely reception the final day of the trip. Our volunteers were fantastic, the folks in the eye clinic (Eric, Maureen, Suzanne, Lois, & Mary) were troopers, working 11-hour days and with endless patience. I am looking forward to my next experience on a NOMMS mission, hoping to get further into the logistics side of the operation. 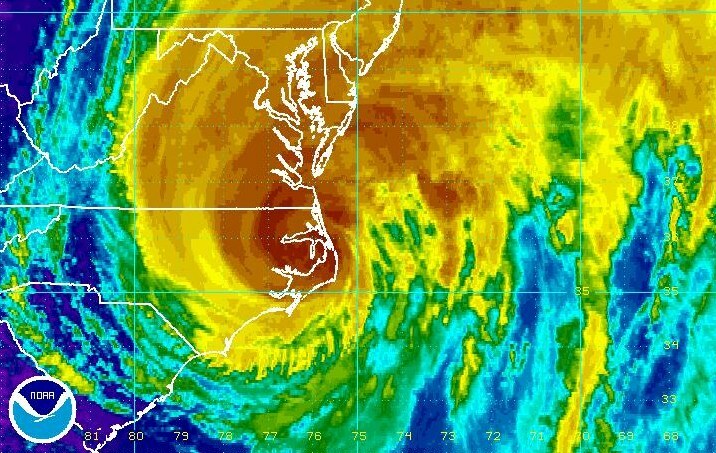 Hurricane Irene is making landfall along the East Coast, plowing toward my family, friends, and colleagues in Baltimore, DC, New York, and the surrounding areas. Those of us here in New Orleans and back home in Florida can’t help but feel grateful that it’s not our turn this time, but we watch with a keen eye, knowing the devastation and struggles that come with these storms, our hearts going out to those in the path and hoping Irene will be gentle. Next week marks the start of a new semester for me, as a PhD student at the Payson Center for International Development at Tulane University. I’m on the verge of completing my coursework and will be spending a lot of time this fall working on my research question, formulating my committee, and studying for the comprehensive exams. I’m also embarking on two new opportunities in my career – teaching an undergraduate course at Payson on Information & Communication Technology for Development (ICT4D) and starting up my own business to conduct consulting and contract work, beginning with a job for New Orleans Medical Mission Services, a group I have been volunteering for over the past year. It’s as good a time as any to begin a new chronicle of these experiences and sharing new research I have been working on, the struggles and triumphs in the humanitarian aid and disaster response fields, the trials and tribulations of grad school, investigating the ever-changing ICT4D field, and exploring professional options. “Ports in the Storm.” That’s me!